This century has seen more technology disruption for retailers than ever before. From online shopping to self-serve ordering kiosks, the process by which shoppers interact with their retail vendors is constantly changing. Last century, location was everything and employees providing excellent customer service was next. Now online presence and easy-to-use interfaces are all the rage. However, I argue that we still face the common problems of people, process and technology — it’s just the roles have changed! A model I call “The Business Triangle” provides the abstraction necessary to understand the fundamental shift that has occurred in retail. 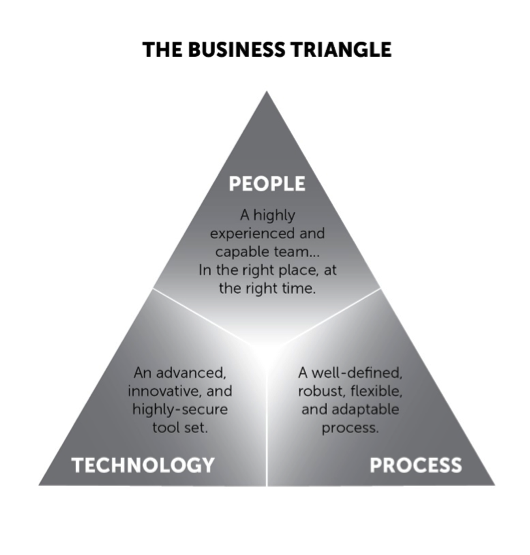 To implement change successfully, businesses have to keep all three sides of the triangle equilateral. So if you change the people, the other two must change with it. If you change the technology, the other two must change with it, and so on. Now consider this: In retail, we’ve changed the technology, the process and the people. Allow me to explain.